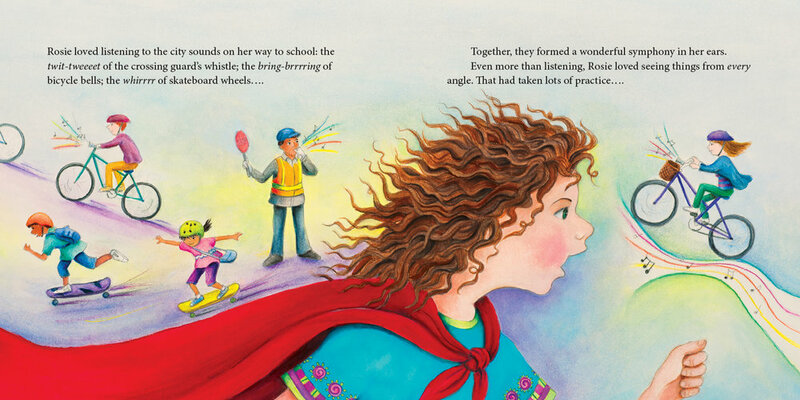 Arriving at school, Rosie is dismayed to see the kids on the playground taunting her classmate Fadimata, who is Muslim and wears a headscarf. Rosie comes up with a plan. Rosie has a red cape she likes to wear, so she asks Fadimata if she would turn the cape into a headscarf for her. The other kids in their class don’t want to be left out, so they ask Fadimata to make them headscarves as well. The experience confirms Rosie's belief that if you tilt your head and look at things differently, you can see the world through someone else's eyes. Proceeds from the sale of this book will be donated to Plan Canada's Because I am a Girl Fund. Rosemary McCarney is Canada's Ambassador to the United Nations and past President and CEO of Toronto-based Plan Canada, one of the largest international development agencies in Canada. After working with organizations like the World Bank and the UN, Rosemary moved to Plan Canada, where she spearheaded the Because I am a Girl movement. She is the author of Every Day is Malala Day, Because I am a Girl: I Can Change the World and The Way to School. Popular children's illustrator Yvonne Cathcart has illustrated many picture books. She lives in Toronto with her family.